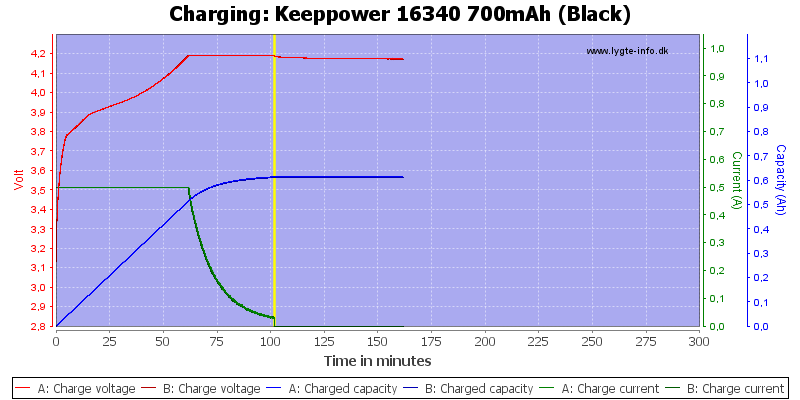 This battery is a 600mAh battery, not 700mAh as the name and specifications suggest. 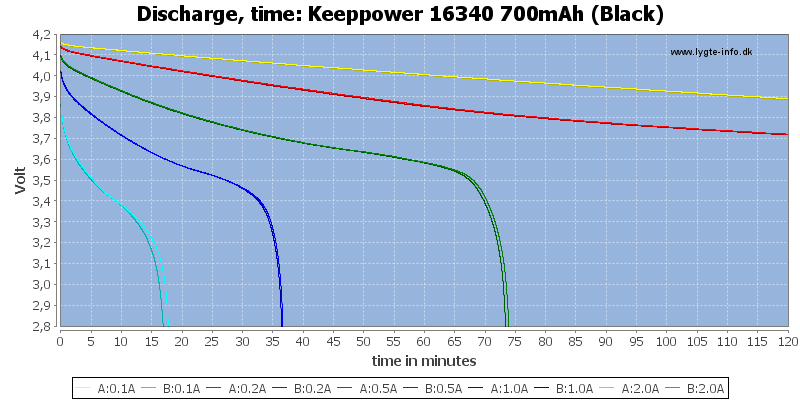 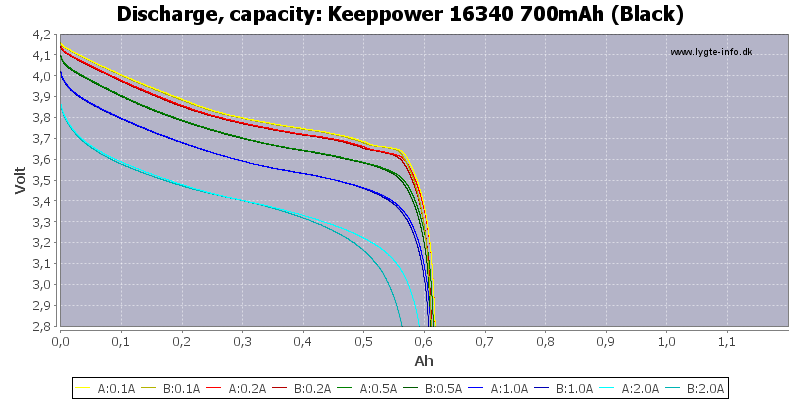 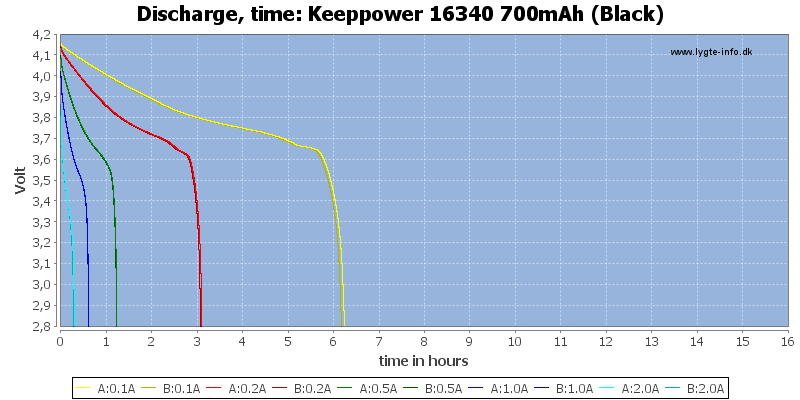 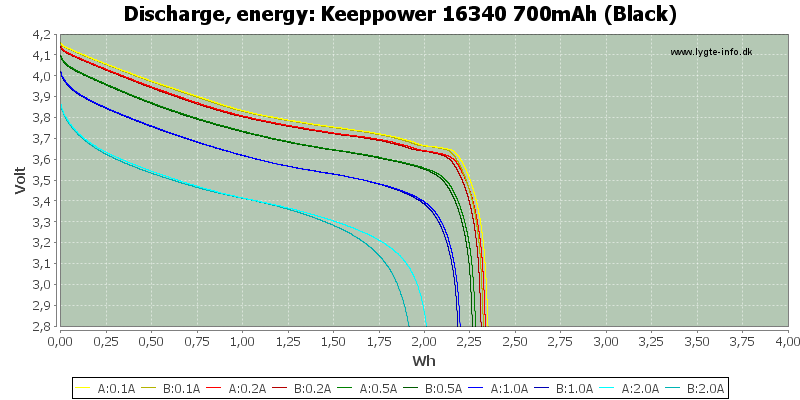 The 2A trace has some variation between the two batteries, but there is not much capacity loss (A 700mAh battery, might not have this much capacity at 2A load). 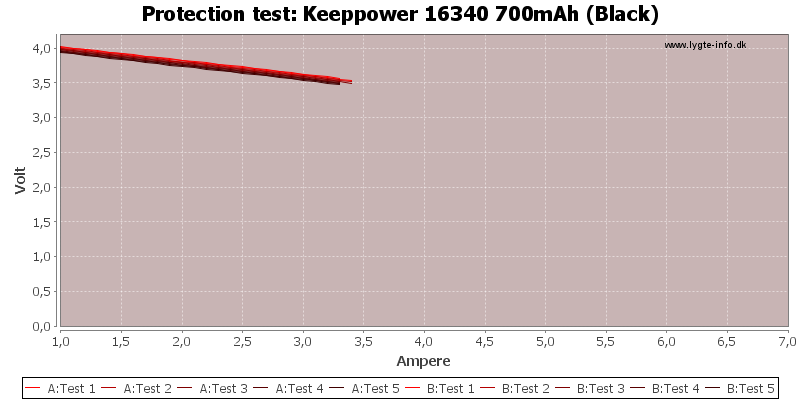 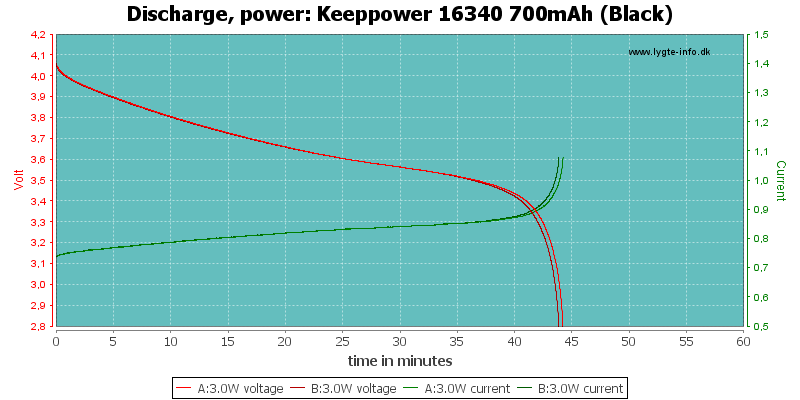 The measurements show a good battery, but because the cell is from a Chinese factory and Keeppower is not a well-known name I can only rate this battery as acceptable. 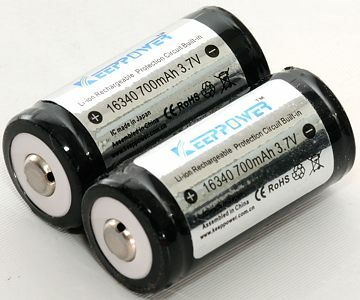 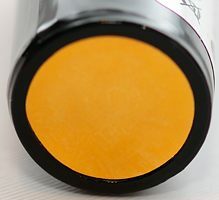 Keeppower is a OEM manufacturer, i.e. 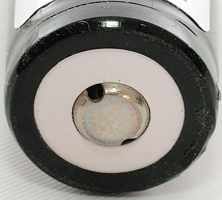 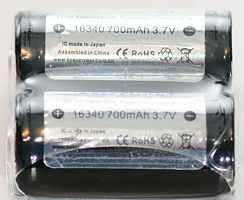 many of the batteries they produce is sold with other names on them.